The flurry of incivility that lately has found its way to Youtube’s “most viewed” list, ought to make us worry about the messages our children are getting, given that Youtube is the most popular web site for kids ages 8 to 18. It’s time to turn our kitchen tables into learning labs and take advantage of this week’s teachable moments. * South Carolina Republican Rep. Joe Wilson’s now-famously shouted objection, “You lie!” during President Obama’s Congressional speech. * Serena Williams’ profanity-laced tirade at a line judge, as well as Roger Federer’s snarky backtalk to an umpire, both during the US Open Tennis Championships. * Kanye West’s interruption of Taylor Swift’s acceptance speech during the MTV Video Awards, in which he decries the loss of the award by competitor Beyonce Knowles. 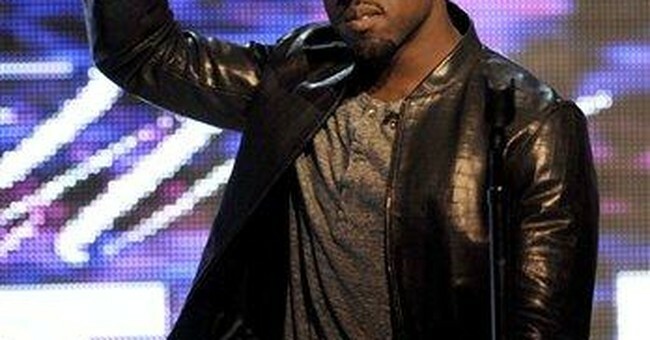 * Finally, President Obama’s supposedly off-the-record comment calling Mr. West a “jackass” for his MTV antics. (More bad manners: ABC news reporter Terrence Moran conveying this indiscreet comment by way of a twitter post to his 1-million-plus followers). There are enough bad examples here to fill a semester in the kitchen, starting with: Incivility begets incivility. A week ago, while accepting the apology of Rep. Wilson, the President seemed to wish for a higher standard of behavior among citizens. In the span of six days, he apparently called someone else a jackass. (Remember that the practice of good manners doesn’t consider the truth of such a statement, just the propriety of speaking it aloud). To put a fine point on the lessons we might consider, I consulted an expert, Mr. P. M. Forni, a respected professor or romance languages and literature at Johns Hopkins University, and also one of the nation’s pre-eminent authorities on civility, having authored two best-selling books on the subject. (The paperback version of his second book, “The Civility Solution: What to Do When People Are Rude” was released this month from MacMillon). But what is the skill that promotes mannerly behavior? “Self restraint,” says Mr. Forni.